Description Hand coloured, wood engraving. Size 65cm x 54cm (26" x 21"). 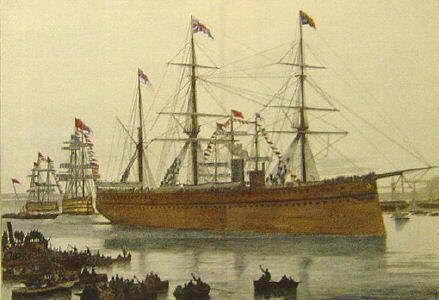 Reception of the Prince of Wales at Portsmouth.